So, what makes a good retriever? To start, there’s the obvious belief that a dog will fall back on its genetic predisposition to retrieve. Beyond that, you have the dog’s desire to hunt when the object to be retrieved is not readily seen or available. The latter often requires a good nose and eyesight, and high level of intelligence. Any well-bred retriever breed should possess these traits, although some candidates go above and beyond. Remember, no matter a dog’s pedigree, bad training can ruin a potentially great dog — even one with titles out the wazoo in its lineage. Conversely, good training can make a solid hunting dog out of a run-of-the-mill puppy. Hunt tests and field trials have their place, but most hunters will not participate in organized events and simply want a dog that will bring back their ducks and recover cripples — the latter, to me, being the most valuable benefit of hunting with a retriever. In this three-part series, we’ll see what it takes to get your dog in shape before the first shot goes off this season. We’ll look at drills for real-world hunting scenarios, common problems that might arise in the field or training and, most important, the basic fundamentals every good dog uses as a foundation. This is not a complete guide, so when in doubt, consult a professional trainer. This is especially true if you have a young dog and no experience training. A young pup is a sponge and, during the early stages of development, can pick up bad habits that will pop up later in training, making for major headaches. So, let’s get started with the groundwork upon which every gun dog builds. Just as a good retriever is a joy to have in the blind, a poorly trained dog can be more of a liability than an asset. Whether in the blind, on a boat ramp or around camp, basic training fundamentals are the underpinnings to any finished gun dog. Along with the basics comes a cardinal rule for the owner: Keep your dog under control. If your dog is not trained to sit, come and heel on command, you are not in control and never will be. These commands are the first and often easiest to train. However, you must reinforce them to maintain discipline in the animal. Also, as the dog’s handler, if you don’t use these commands and exercise some common sense, they’re as useless as a dead battery. I’m amazed how many owners let their dogs run around unsupervised at public boat ramps, intermingling with other dogs, darting behind trucks with trailers vying for poll position and even swimming around the ramp while folks are unloading their boats. Remember the cardinal rule: Always keep your dog under control. This means knowing where your dog is and using common sense when you and your hunting pal are around other dogs, people or a situation where your full attention might not be on the dog. If you’ve been on the road for a while and need to air your dog at a ramp or somewhere with hazards, open the kennel, and keep your eye on the dog while it takes care of business. When it’s finished, place the dog back in the kennel until it’s time go afield. This is Common Sense 101 for an owner. The come or here command is the one we start with. It’s probably the first thing you teach to a puppy and the most important command a dog should know. Even though this command is drilled early and often, it should not be dismissed in later training sessions. In fact, a few come drills are a great way to start a training session every now and again, along with walking at heel. Often with my dog, I reinforce the here and heel command for a few minutes at the start of a training session. This is easy for him, requires zero pressure, and the repetition drills it deep into his mind so when I sound a three-whistle blast, he snaps back from whatever he’s doing and beelines straight for my side. A good friend has an amazing dog. She can mark with the best and run razor lines on blind retrieves, and if a duck goes down out of sight in heavy cover, she’ll find it every day of the week and twice on Sunday. She only has one flaw: She’s a whiner. When birds are coming in and things are getting hot in the sky, her muffled whimpers mix with feed calls. Ducks have heard this, too, sometimes flaring just before locking up for that final glide. My buddy, obviously frustrated about the issue, tried everything short of magic potions to remedy the issue. He was even told by a trainer to smack the dog on the nose with a riding crop every time she whimpered in the blind. One broken riding crop later — and a timid explanation by his girlfriend when the crop was delivered to their address and opened in front of friends — and the issue persisted. The remedy, after several trial-and-error fails in other methods, was denial. My friend placed the dog in her kennel during training if she uttered even a whimper. There she sat, in a timeout, watching other dogs work until she was quiet. When silent, she was released from the kennel and allowed to participate in training until the whimpering started again. Then my friend repeated the process. This took serious dedication on my buddy’s part, as he missed out on training his main dog, but it ultimately paid off, though the dog requires a tune-up now and again. The consensus from most professional trainers I’ve talked with is to prevent vocalization behavior before it takes hold. Some think certain dogs have a predisposition to be more vocal than other dogs, and other trainers believe the problem is a product of missed opportunities to correct the behavior during the dog’s early development. Bark collars can work wonders to stop vocalization, typically nipping the issue quickly. If you’re going to use a bark collar, make sure you leave it on the dog for a few days so the pup becomes used to the device. This will keep the dog from associating the collar with the pressure it applies. After a few days, turn the collar on, and let the healing begin. Do not take the collar off if you think the dog has a chance of vocalizing while the collar is not around its neck. By then, you should know what sets your dog off for vocalization, whether it’s other dogs, knocks on the door or being left along. After you believe the problem has been remedied and your canine companion is silent, don’t consider the job done. Chances are, your bark collar will come out at some point for reinforcement. Look for a collar that has bark-suppression and training stimulation capabilities. All dogs do it. Even the best-trained retrievers will break at some point. 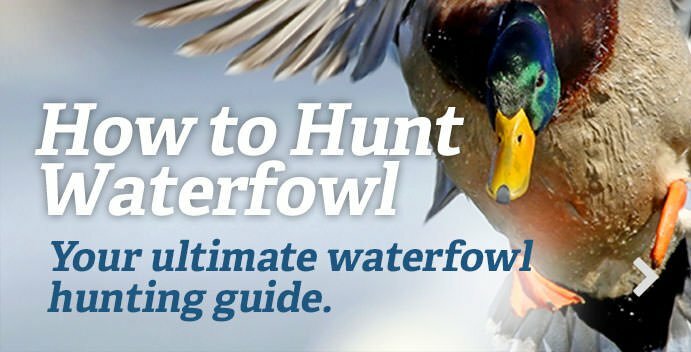 Ducks are whizzing around, guns are going off, dead birds are splashing in the water — it’s just too much for a dog to take, and before you know it, they’re hard-charging after a cripple scooting across a rice field well before you called “fetch.” Keeping a dog steady is a lifelong process for the animal. You achieve this trait by drills, repetition and enforcement training throughout the training cycle. Even with this, your dog can and probably will break occasionally, especially if other dogs are around or guns go off in conjunction with birds falling from the sky. To keep your dog from thinking every bird is his, you must show him the contrary. At the beginning of a training session, toss a couple of bumpers in front of you while standing on the line. If your dog attempts to chase one down, issue an immediate correction, and bring it back to heel at the line. After you’ve thrown a few dummies, keep the dog on the line as you retrieve them. Shooting popper blanks through a shotgun as you’re tossing the dummies will increase the temptation and allow for correction. I prefer popper blanks in a long gun over starter pistols because my dog not only keys on the sound but also the gun I’m carrying. If I’m holding a pistol, he couldn’t care less, but if I walk out of the house with a shotgun, it’s Katy bar the door. He knows that when the long gun comes out, chances are he’ll be part of the fun. Training with a partner who has a dog also reinforces the steady command. When two dogs are at the line, one honoring and one retrieving, temptation is dialed way up. In that situation, continue to show your dog that not every retrieve is his and the decision to retrieve the bumper or duck is your call, not the dog’s. Editor’s note: Next week in Part 2, Joe Nowakowski of Little River Kennels in Big Sky, Montana, will discuss marked retrieves and how to train for real-life hunting scenarios.